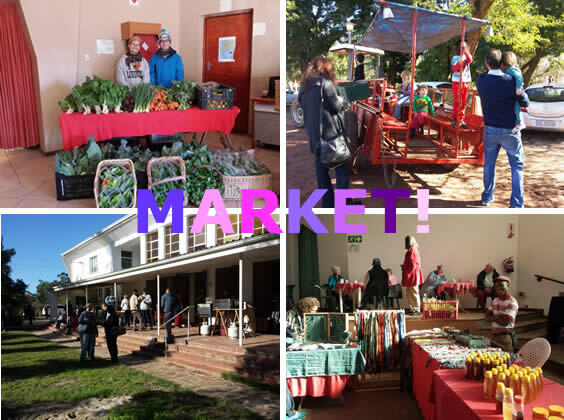 Camphill Market is growing, we have increased our food stalls and added four more vendors in the past few months. We have also moved to the community hall for the winter months, which makes for a warm and toasty experience and there will again be some inspiring live music - catch Steve Van livening up the market with his addictive blend of folk rock & country. So come join us on Sunday the 5th of July for a friendly shopping and tasting experience not to be missed. From wholesome food and delicious treats to earthy jewellery and organic produce, we have an outstanding range of hand and home made products. Plus our popular tractor rides for exploring the farm, a jungle gym for kids to play on and plenty of space to run around. 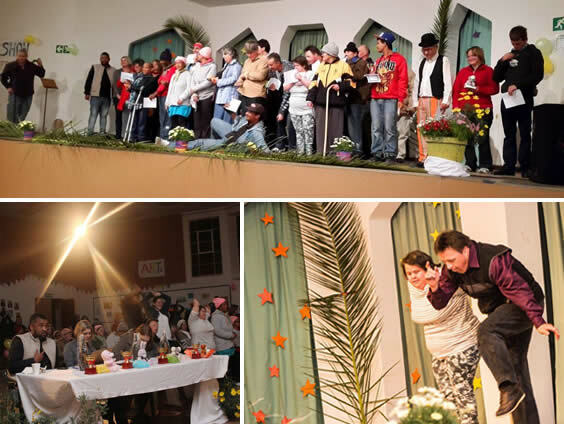 Camphill’s Talent Show filled the whole village with energy and creative expression and was a beautiful evening. Not even load-shedding kicking in just as we were getting under way could damp our spirits. Our back-up generator was ready and waiting and the show went on. 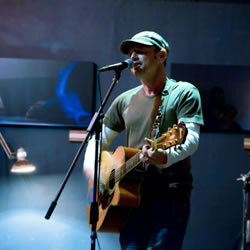 Our MC, Carl Du Preez is a well known musician and was incredibly supportive, encouraging and fun. Liny Kruger of LK Media, Jessica Schnehage of The Project Room and Chris Samuels of Vision Music Records, all with music industry backgrounds, joined us as judges for the event. Many thanks to all of them for their positive feedback and enthusiastic contribution to the evening. Thanks to contestants from Orion and Camphill Hermanus for joining us, to Rene Maritz for the photography and to all our young co-workers for organising everything. We have increased our dairy herd with an additional 20 cows this month, which has greatly boosted our milk production. This has provided a welcome sigh of relief for our customers who cannot get enough of our milk. 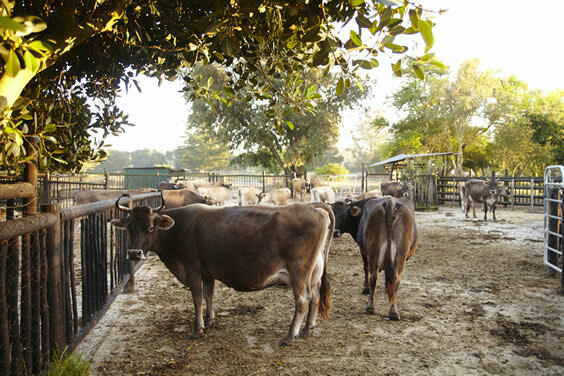 Our grass fed cows graze on pastures free from any herbicides or pesticides and produce incredibly rich and creamy milk that is in very short supply in the market at the moment. Thankfully the winter rains have arrived and the pastures and natural winter grasses are turning lush and green. Our full cream yoghurt, still remains our most popular and enjoyed product. Earlier this month I attended a conference in Canada in which the whole Camphill Movement was represented. The theme of the conference “Narratives of Change” was designed to encourage each region to share what changes are taking place in each of our Camphills. There are over 100 Camphills around the world, and some are having change forced upon them from outside, through laws, funding criteria, and social expectations and requirements, while many Camphills have initiated processes of change from within. The conference was a very dynamic platform for exchange, where we were able to share experiences of transforming communities and organisations from around the world. 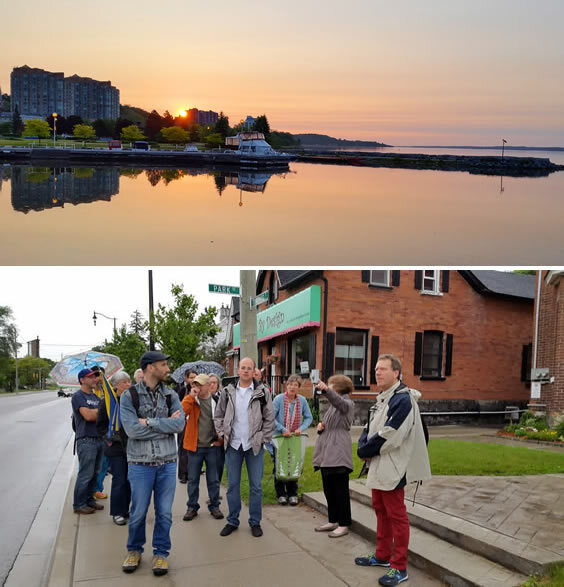 The conference was hosted at Camphill Nottawasaga, outside Barrie, a small town 90km north of Toronto, and partly in their Urban Initiative in Barrie. A contributing factor to the success and dynamism of the conference was being able to share the experience of the hosts. 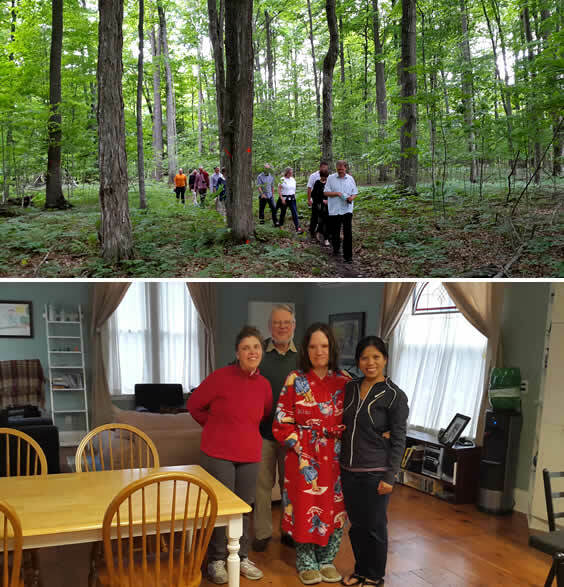 This Camphill has undergone many challenges and emerged as a pioneer in exploring new forms of co-housing, co-living and has brought the lives of residents together with the community of the town over the last few years. 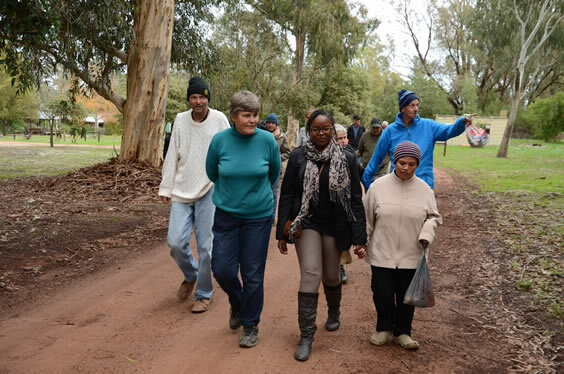 Their urban initiative, where residents live in the town in a supported way and work and live in supportive projects, has benefited not only the residents who are able to live more independent lives, but also many town people who were searching for more meaning in their daily lives, and have been able to achieve this by assisting residents in the town. It was a great example of how Camphill can integrate more into the wider world. Camphill Village West Coast is a large property and when the houses were first built 50 years ago security measures were not necessary. The area surrounding us has become increasingly plagued by social problems. Burglaries in and around Camphill are on the increase and we need to be pro-active. Keeping our Community safe is of the utmost importance to us. The scale of the project is daunting and we are approaching the project on two levels, the security of the farm as a whole (perimeter protection e.g. preventing trespassing on the land) and the security of the individual houses (burglar bars, alarms, security lights and gates etc.). Balancing this, though, consideration must be given to the movement of residents and animals and also to the setting, character and spirit of Camphill Village. We are requesting your help with regards to this upgrade. If any of you have experience in security or could assist us with these upgrades, we would be grateful for any advice and support. To no surprise our light rye sales have picked up by an additional 50% in the last two months in stores and why wouldn’t they? Our light rye is 40% rye flour 60% white stone ground flour and uses our sour dough starter. It is a slow bake ferment bread made by the traditional method. If you have not tried our light rye yet, what are you waiting for? 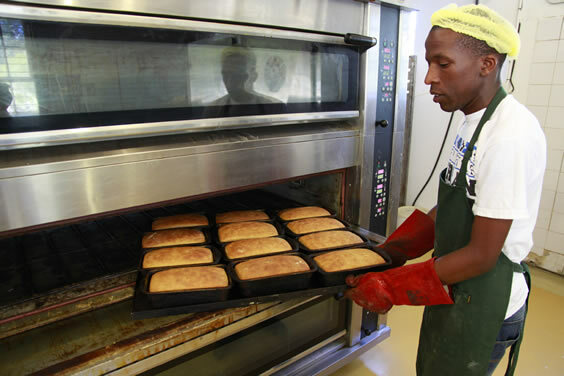 Ask your local health food shop for Camphill Light Rye, or call us for your nearest stockist on 021 571 8600. 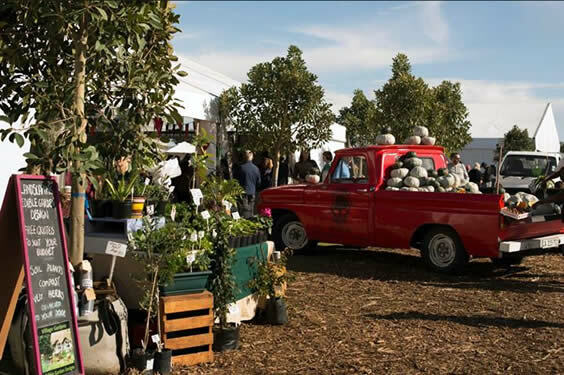 The Oranjezicht City Farm Market has moved to Granger Bay for the winter months where there is a fine set up of large tents and plenty of space. Camphill are attending every second and last Saturday of the month, bringing our organic dairy, cosmetics and bakery products into the heart of the city for your convenience. Come and stock up with our delicious milk, yoghurt and rusks and try out our latest cosmetics innovations. 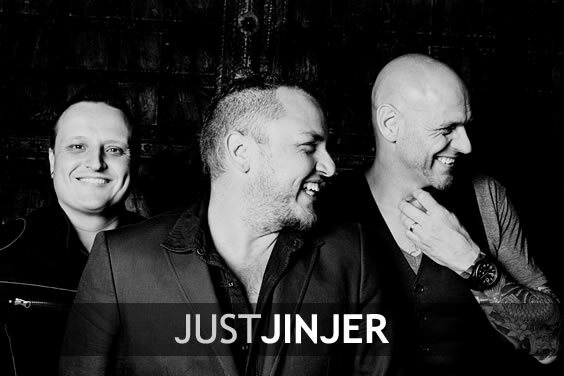 Looking forward to seeing you there! Next dates: Saturday 11th and 25th July. 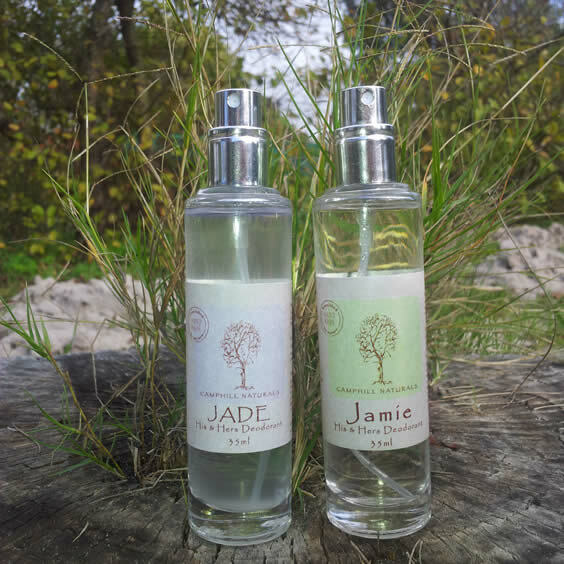 Our exciting new range of Camphill scents, Jade & Jamie, is being rolled out to Health Stores in and around Cape Town this month. This marks the beginning of our His & Hers Unisex herbal deodorant range. 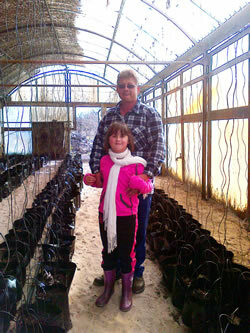 For Camphill and for the South African herbal market this is noteworthy innovation. These two deodorants were specifically designed to suit both men and woman, acid and alkaline skin. The scents react to the skin’s acidity and adapt, developing differently for each wearer. The trouble is deciding which one you like best, or which one to keep and which one to give to your loved one ... but we think this is a good problem to have! Jamie is sporty and fresh. A few moments after the initial spray the scents round off and become sweet/ candy for the ladies and minty for the men. Jade is a richer, more complex aroma and rounds off to notes reminiscent of an upmarket perfume or cologne. We have also extended our range this winter with some wonderful new pampering and healing products, as well as some pocket size versions of your favourite Camphill cosmetics products for your delight. New products include a unique range of Candy bath salts, pocket size body oils and lip balms, and headache and sinus oils. Contact us for more information. 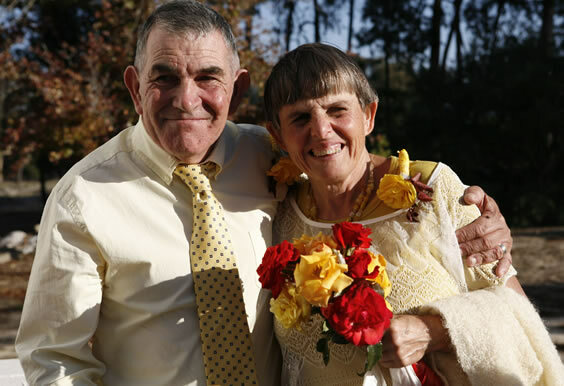 J. P. Dippenaar, born and raised in Malmesbury, married to Laurene, with an 8 year old daughter, Anrie. J.P. started working in Camphill in early May of this year and is making visible changes to our gardening practices. By using crop rotation and seasonal planting, he plans to supply the Group homes and outside markets with a variety of fresh vegetables in season. He will start with 2 open fields, and the greenhouse - which has been inactive for a while. The greenhouse, through a lot of hard work, has been renovated and will be used - starting beginning of July - to plant cucumbers. From the beginning of September he will be planting beef tomatoes and cherry tomatoes.He has started planting in the new field with beetroot, carrots, a variety of lettuces, cabbage, cauliflower and kale. In conjunction with the farm, he has planted 2,5 Ha of lucerne, 3,5 Ha of oats and 4 camps of kikuyu to provide grazing for our herd of dairy cattle - which has grown to +/- 50 head. He is starting to produce Efficient Microbacteria (E.M.) which is fully organic and can be used to breakdown compost materials, solid waste in Septic Tanks, a fertilizing agent and also kills harmful bacteria in the soil. We welcome him to Camphill with his lovely family, his great sense of humour and his agricultural aptitude. Thank you J.P. for making a difference. 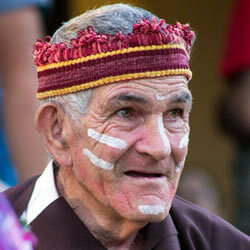 I was born in 1948 in South Africa. Later I moved with my family to Scotland for some time. When my Dad asked who wants to go back to South Africa we all packed our bags and got on to the ship. We went back to Durban and lived in the same house as before. By that time I had finished school so my Dad asked me one day if I want to try Camphill Hermanus and I went but I didn’t know anybody there. Sometime later I came to Camphill Village. I did not have much contact with my family and one day I was told that my parents had passed away. In Camphill I worked in a workshop, where we made hot mats from wood and cane, in the garden, BMS and helped Charls to fix the tractors and cars. I don’t like moving irrigation pipes or when too many people give me orders. I like working with one person. Now I help with recycling but it’s not easy because people always mix up the bags. I also look after our two donkeys and I really like it. I only need a harness for them so that they can pull a little cart in the village. Two years ago I married Rosheen who I have been friends with for many years. In our last newsletter, we announced our second music festival following on the success of our 50th anniversary festival last year. The date has now been changed to Saturday 31st October, so keep that date free for an awesome afternoon of music at Camphill Village. 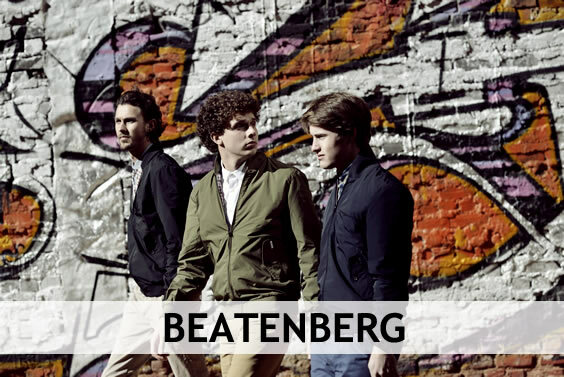 We look forward to welcoming Just Jinjer and Beatenberg, amongst other bands at our music festival on the Saturday 31st of October. Saturday 31st of October - Our second Annual Music Concert. If the success of our first one is anything to go by this one is going to be much bigger, showcasing amazing talented artists from around South Africa.